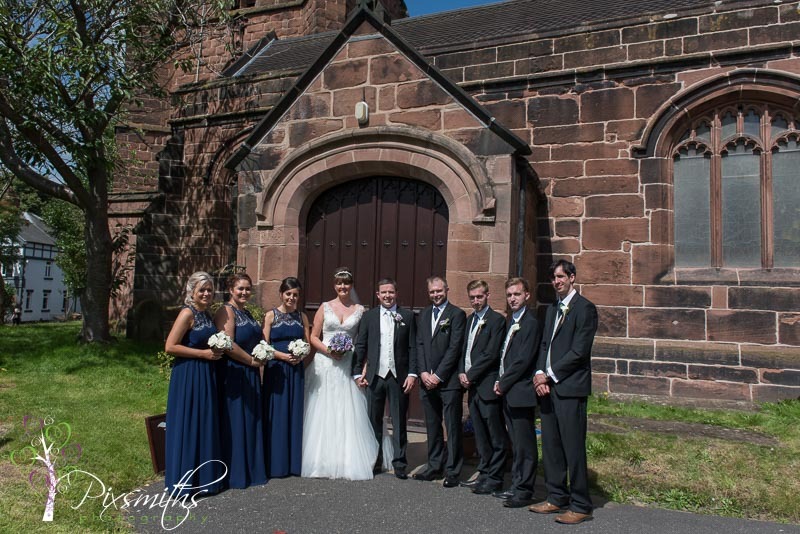 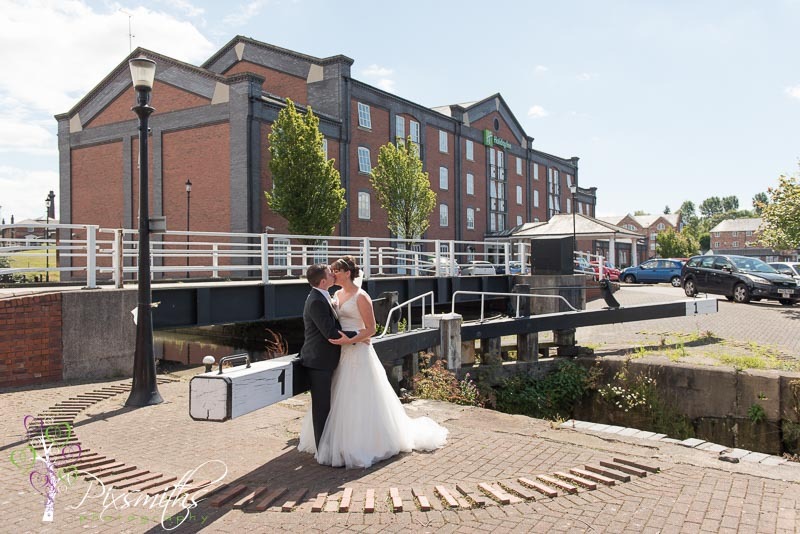 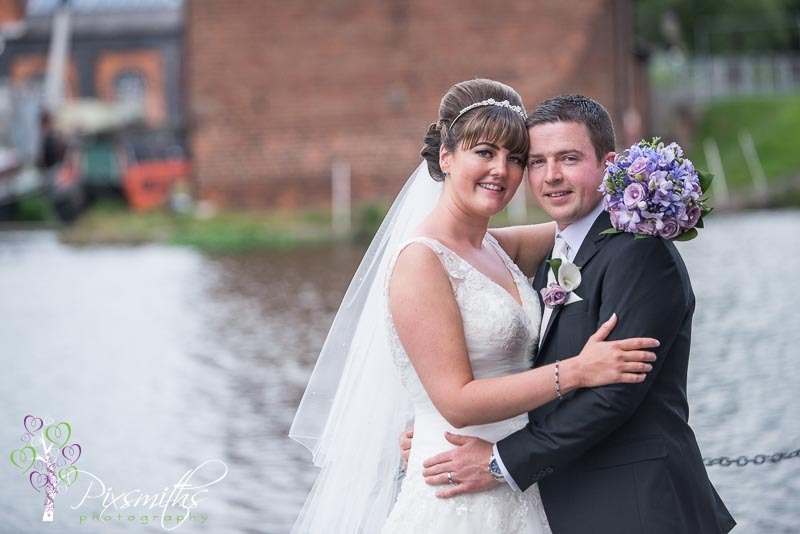 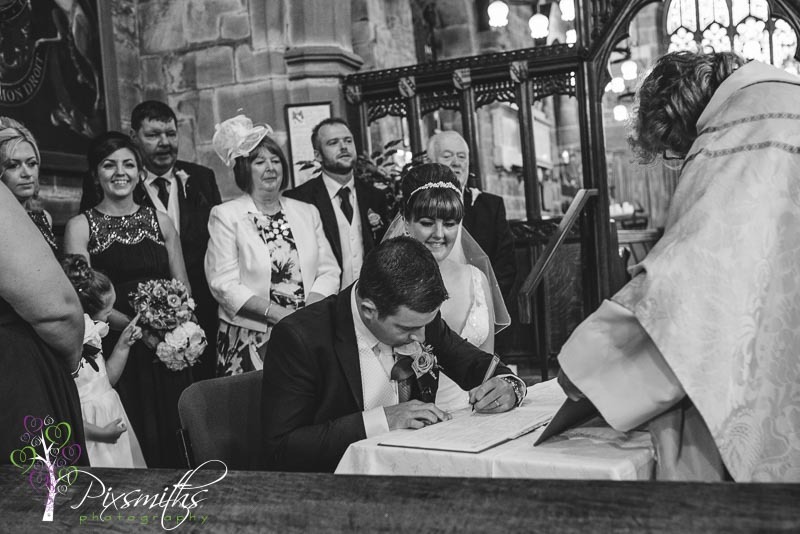 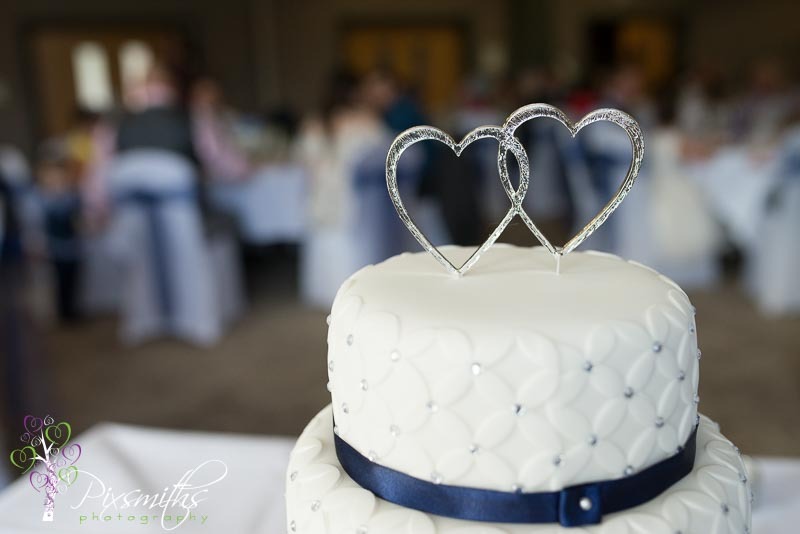 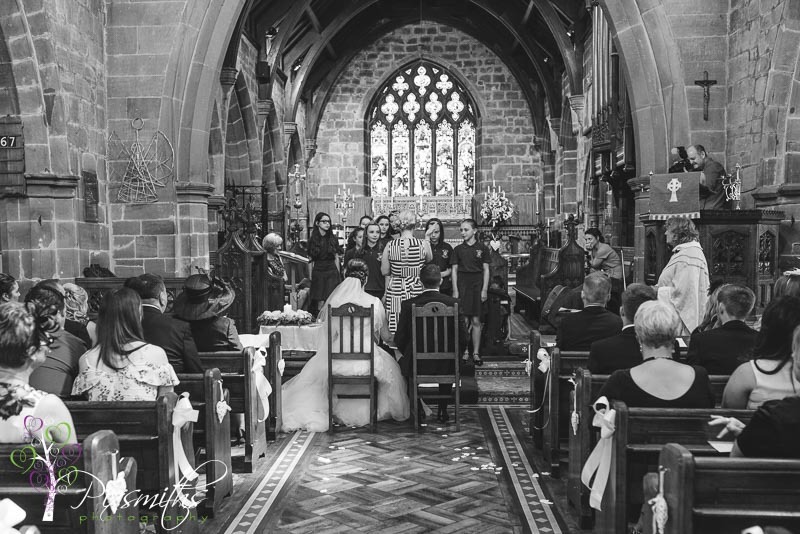 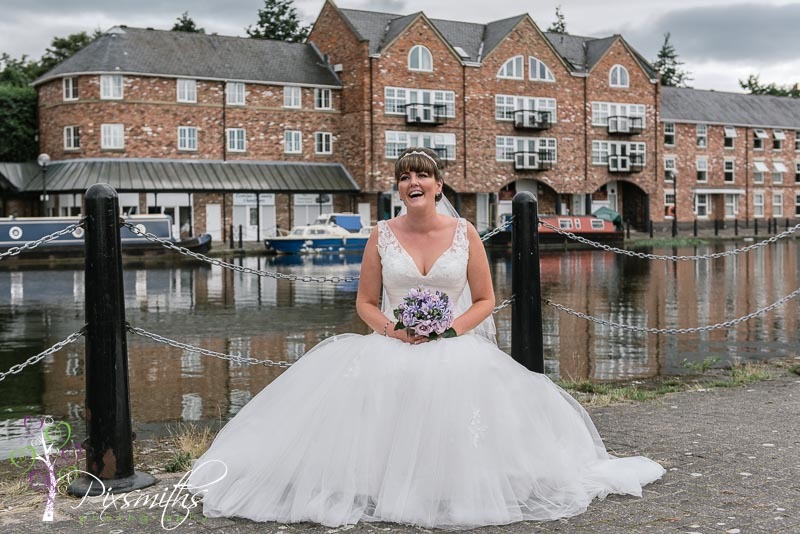 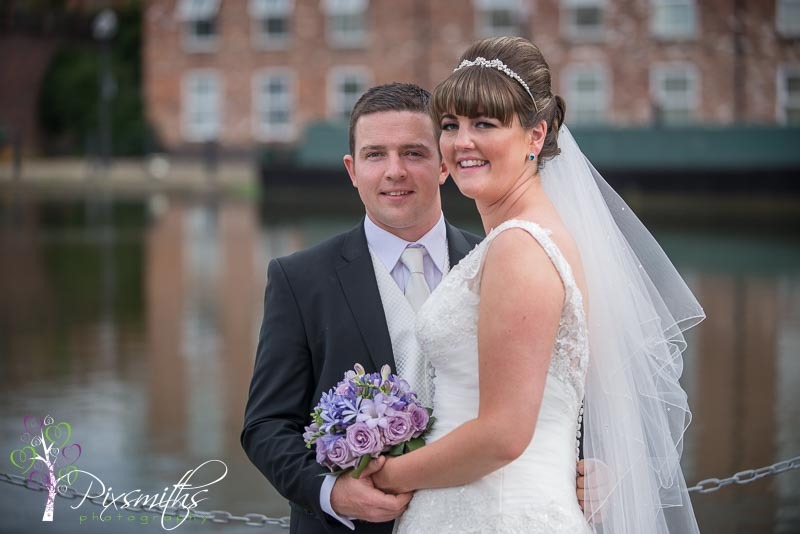 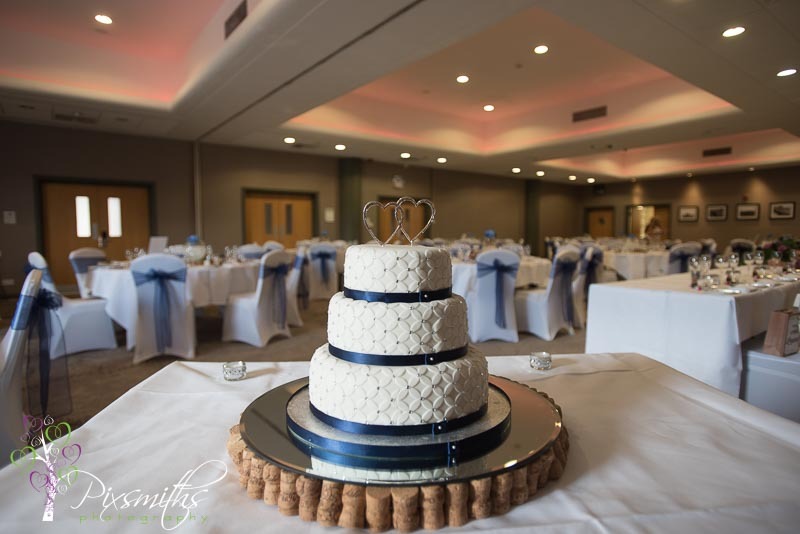 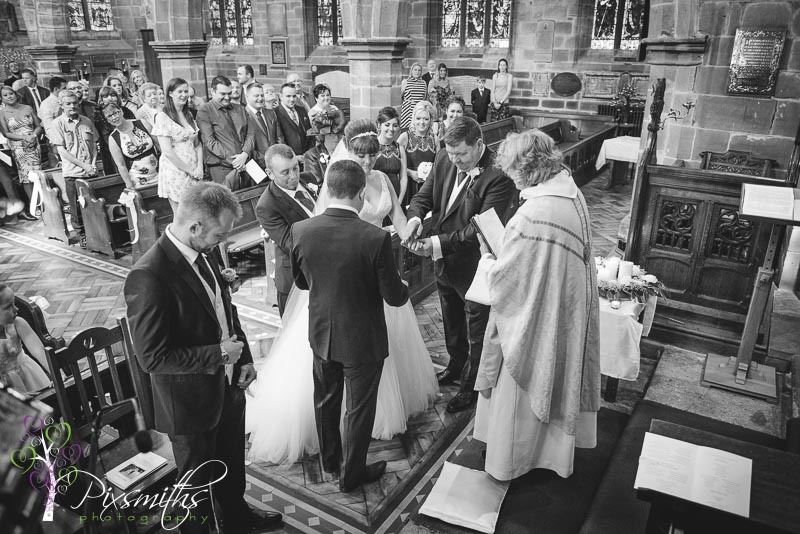 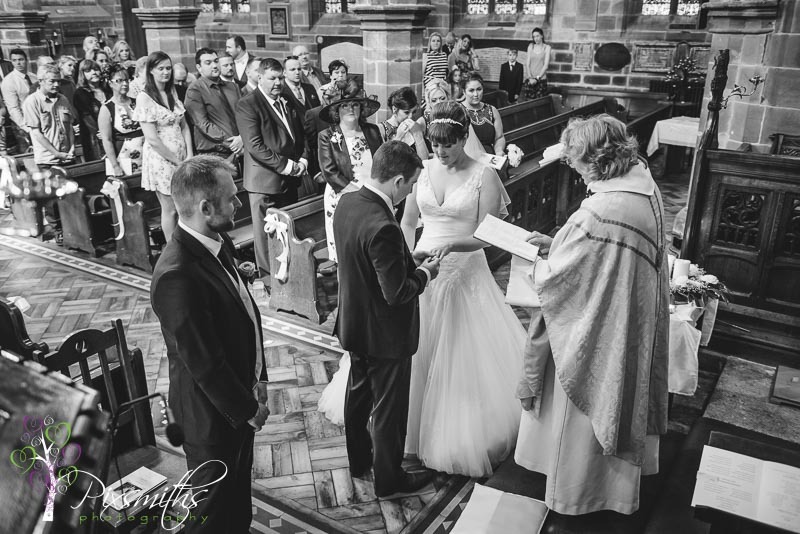 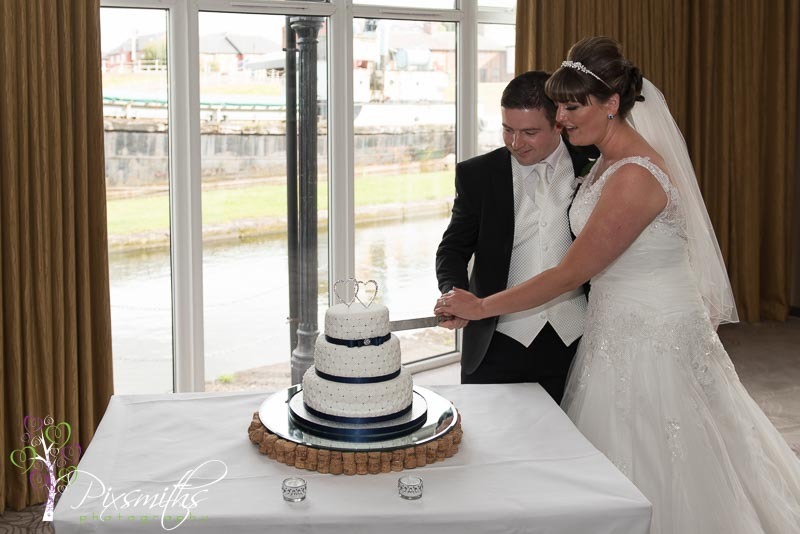 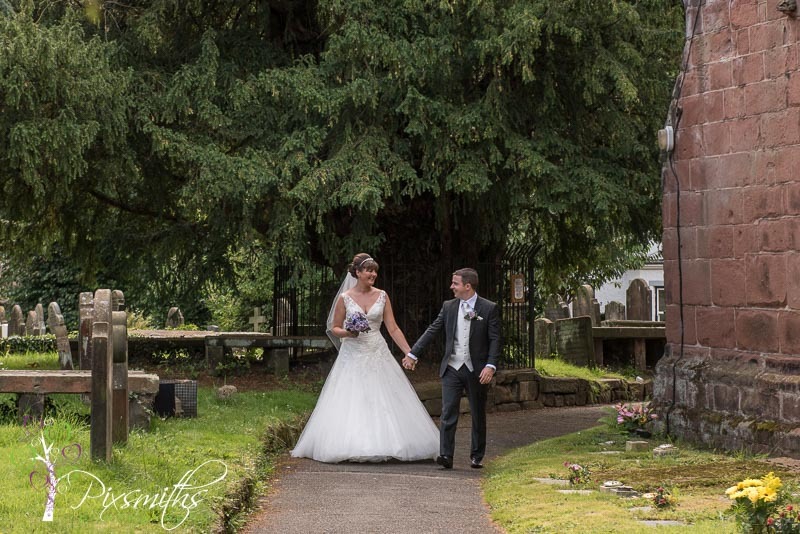 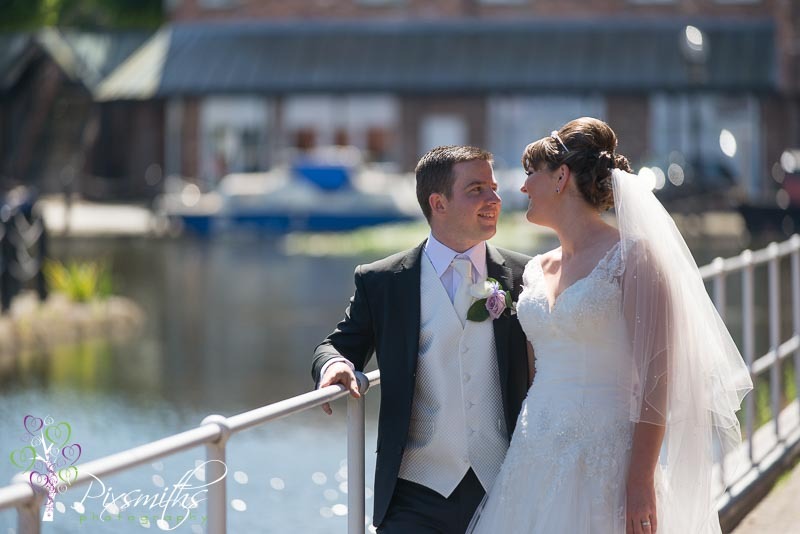 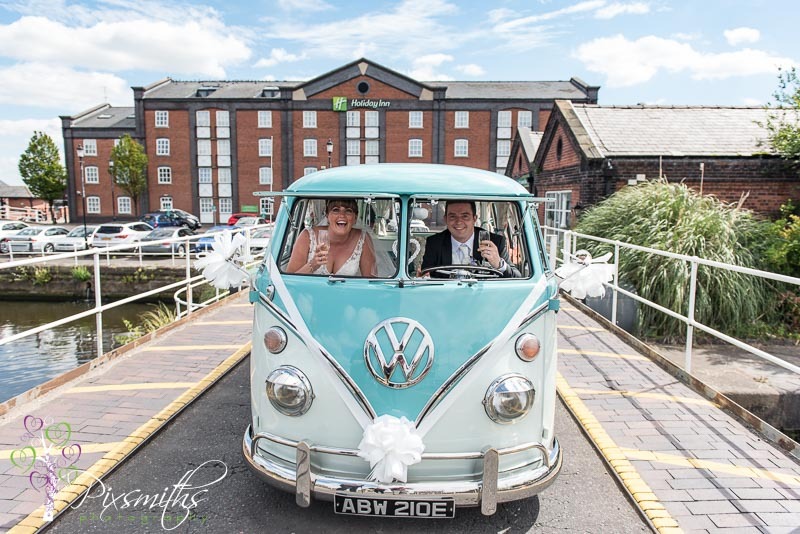 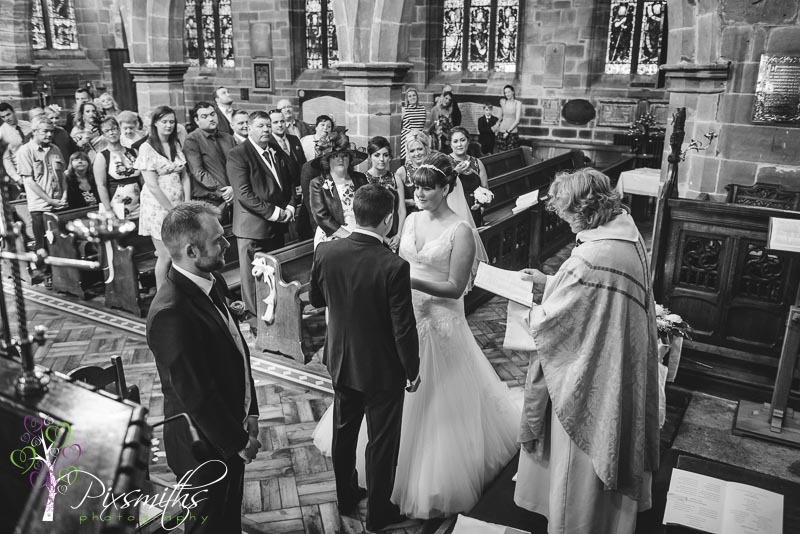 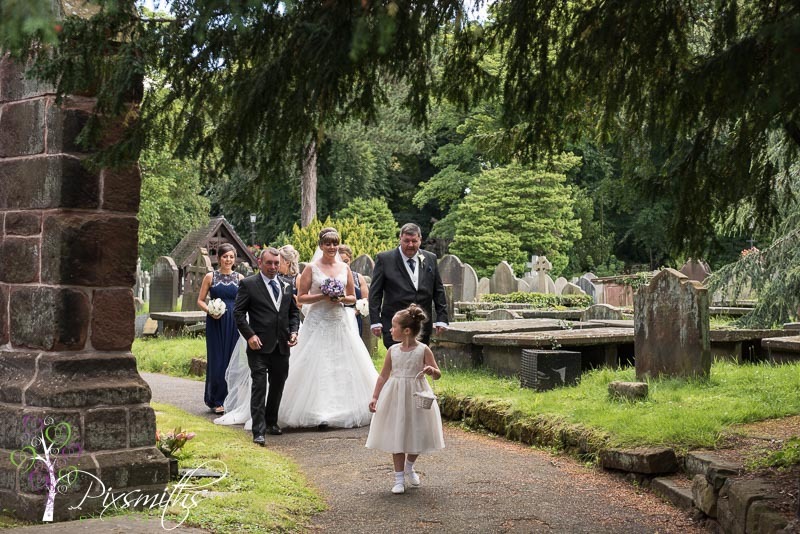 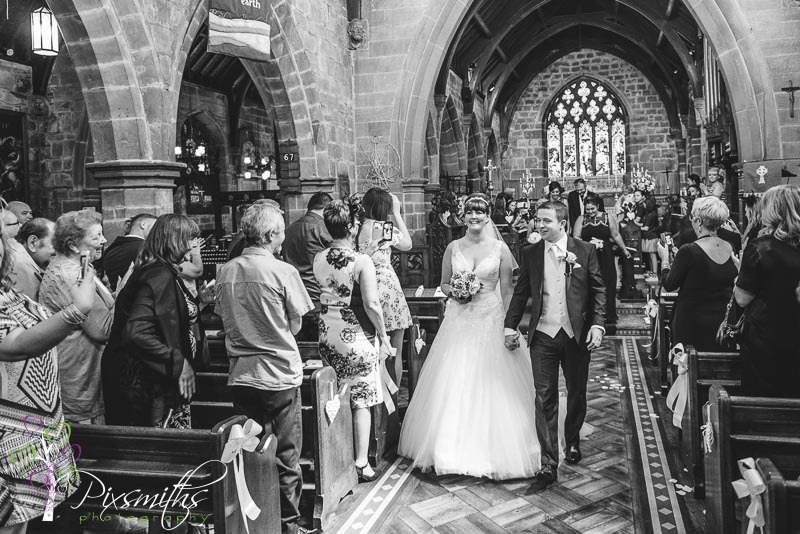 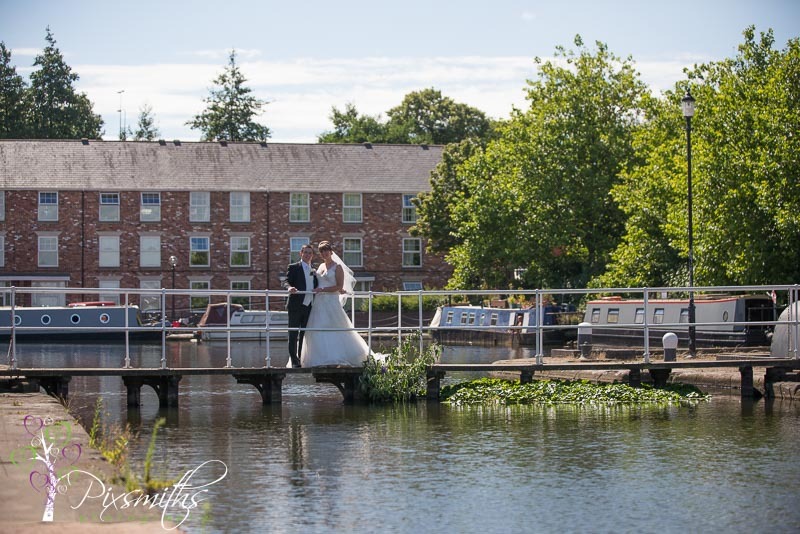 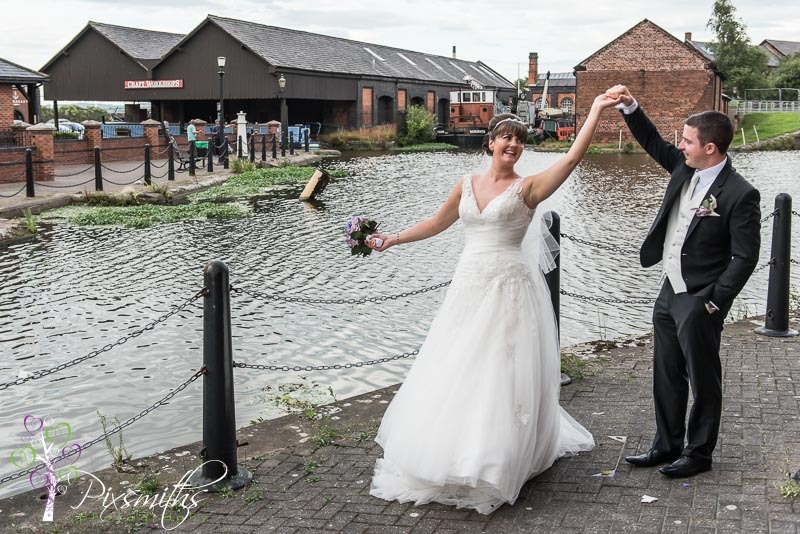 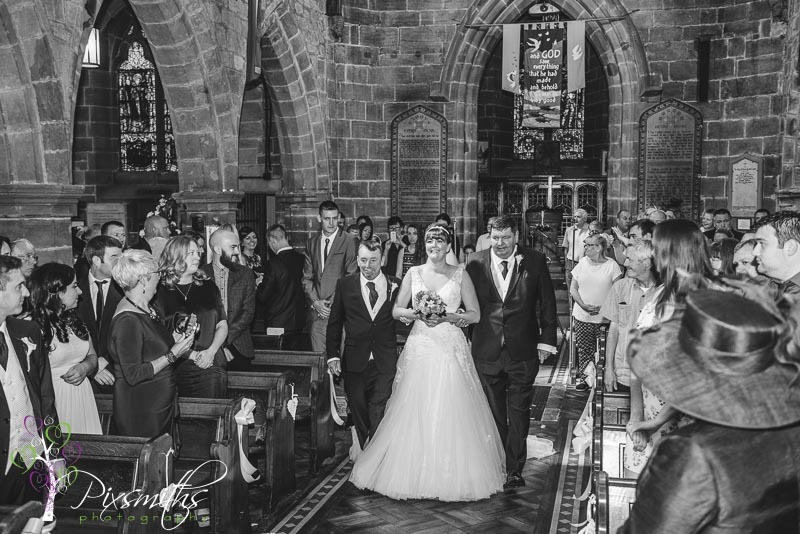 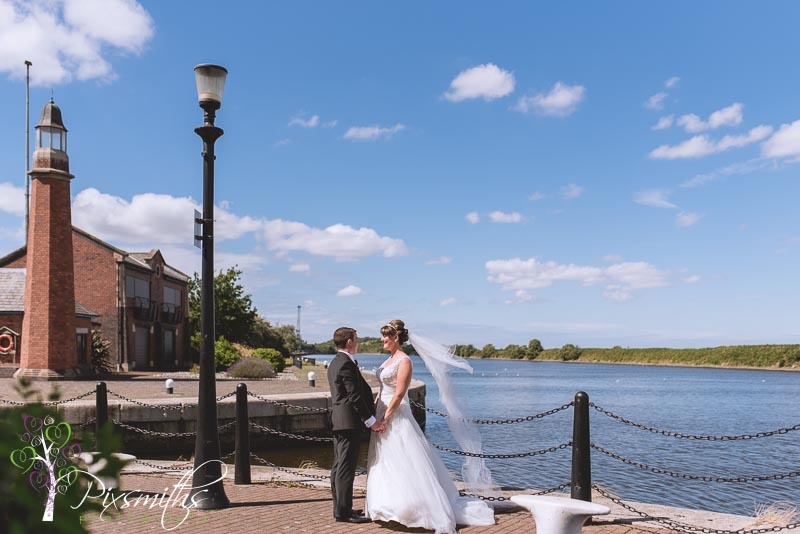 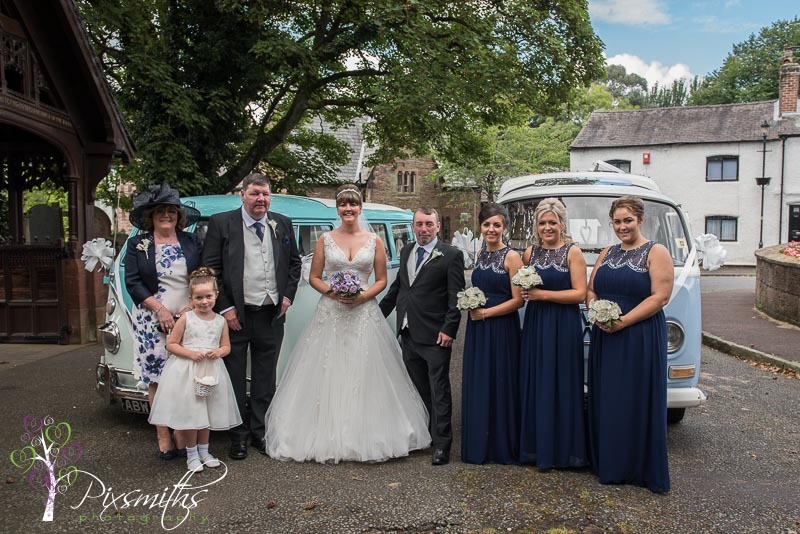 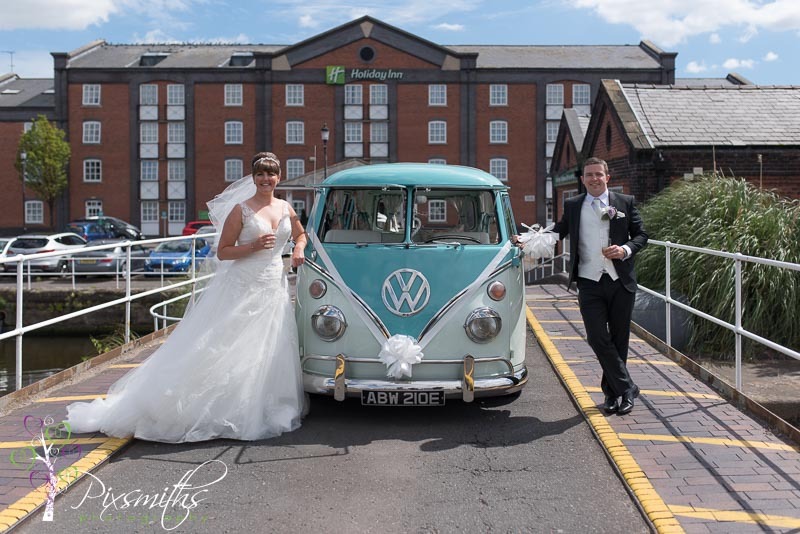 A sunny August day for Laura and Thom’s church wedding at the historic village church of St Mary’s Eastham and reception at Holiday Inn Ellesmere Port . 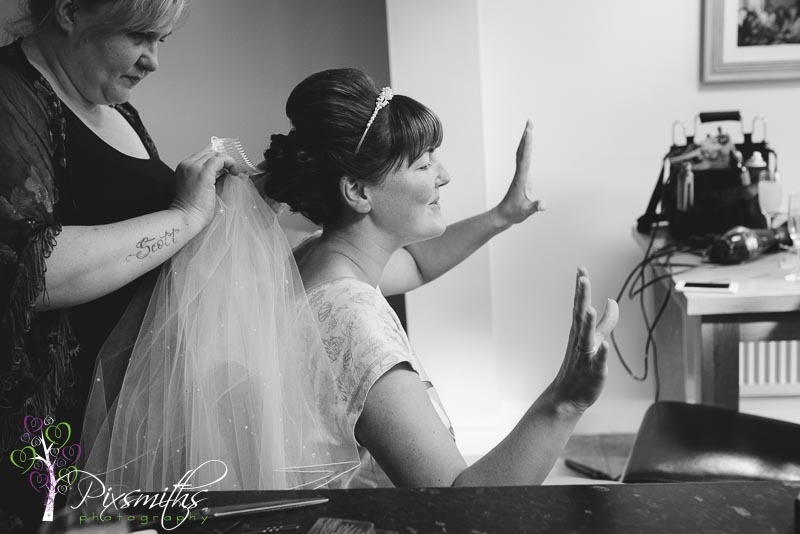 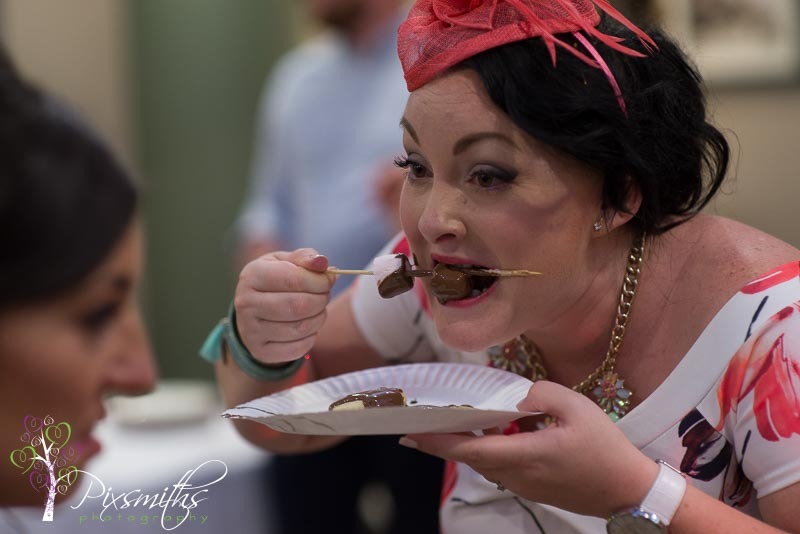 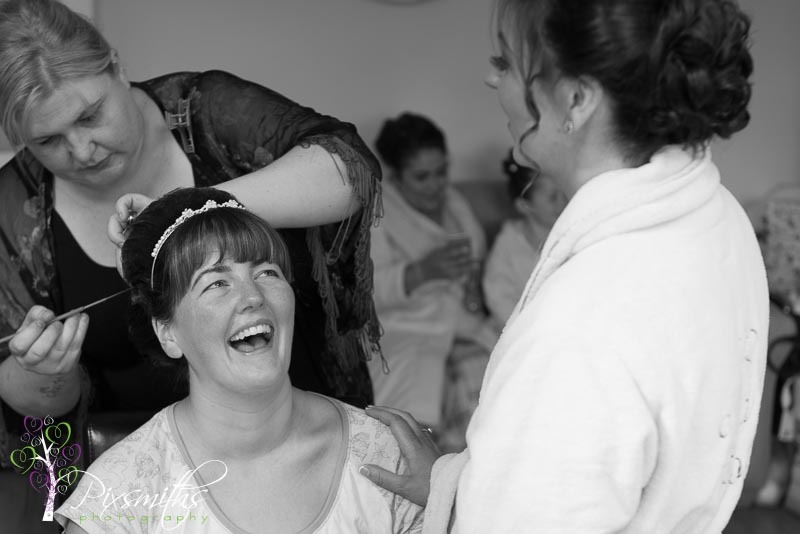 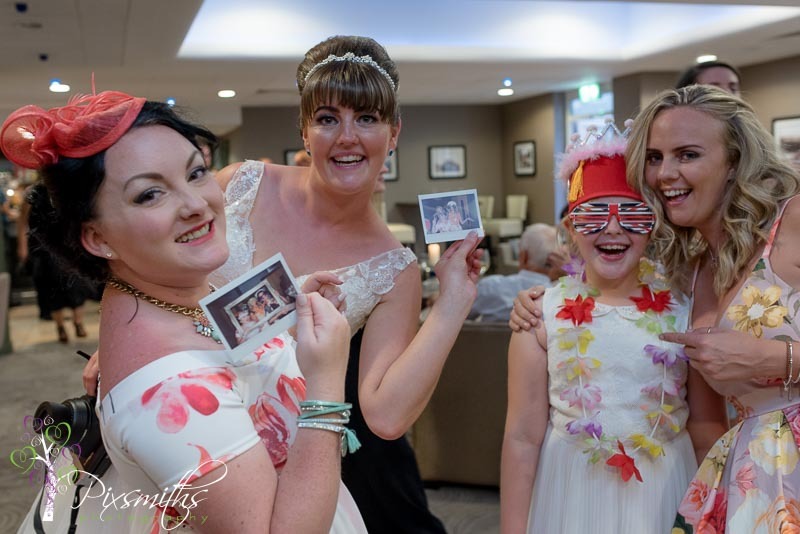 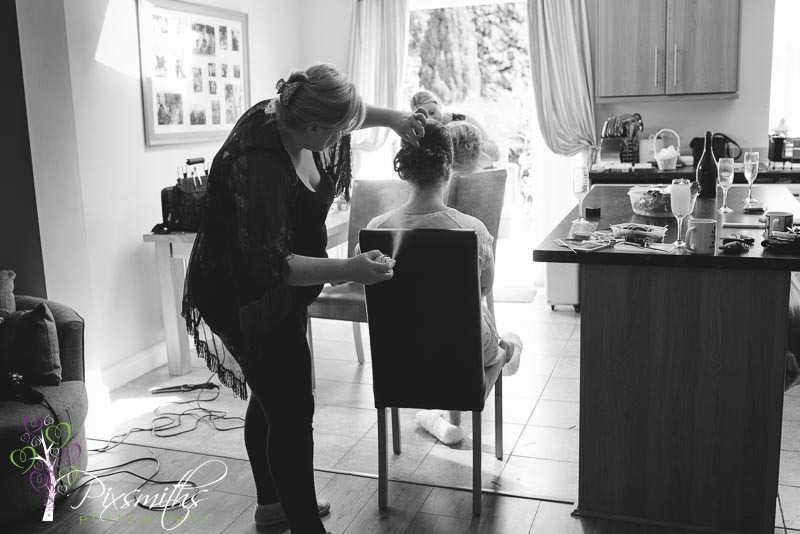 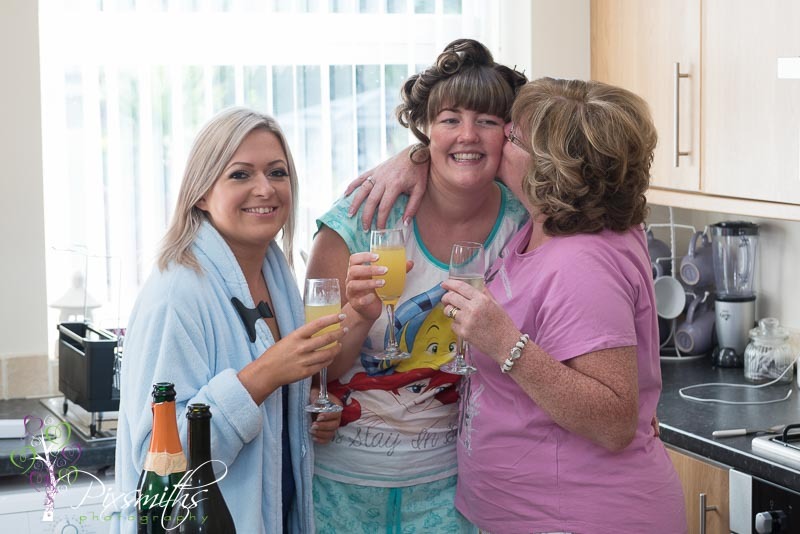 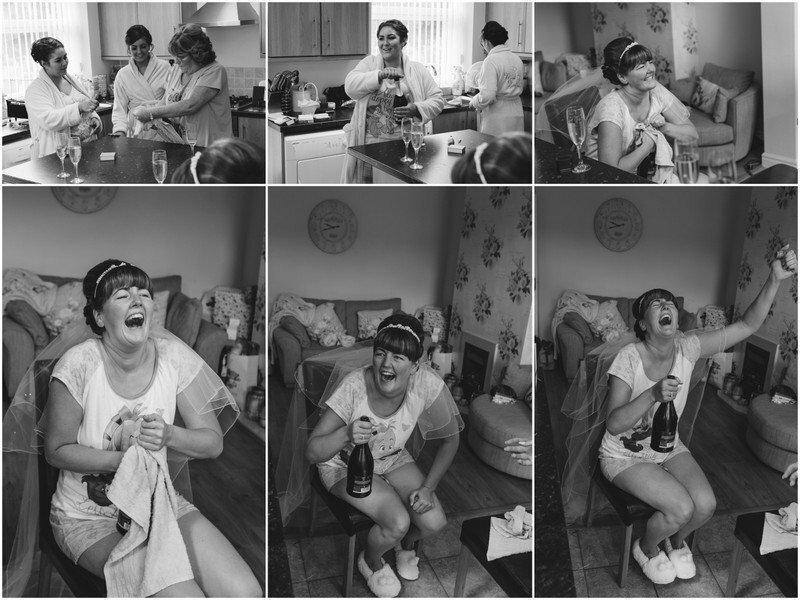 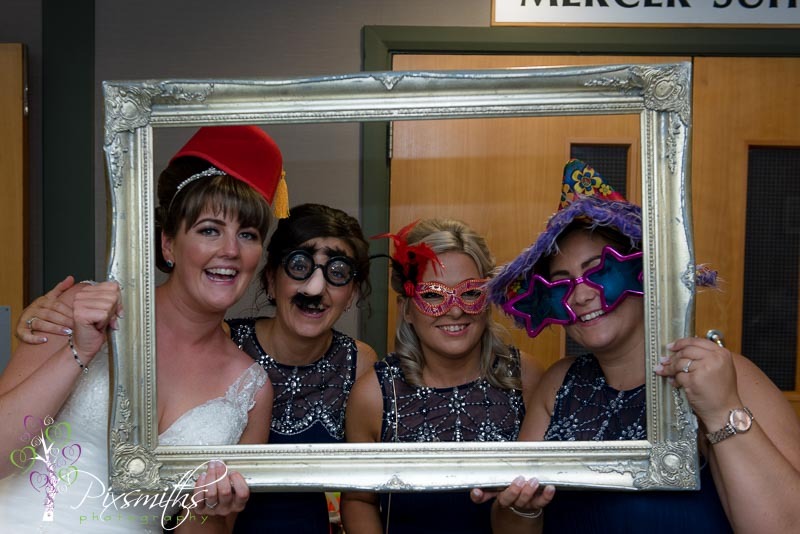 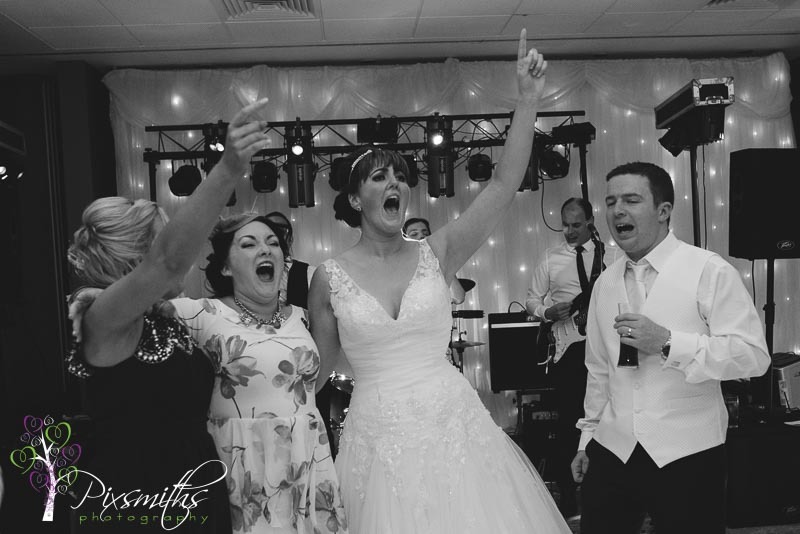 The bridal preps were such fun, all the girls were chilled out, having a good singalong and drinking prosecco …eventually when they popped the cork! 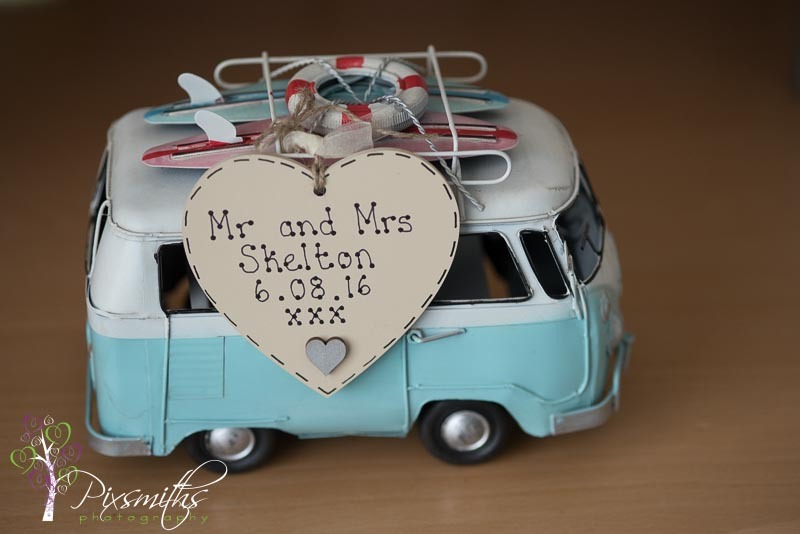 A campervan to whisk the girls to the beautiful historic village church of S Mary’s in Eastham. 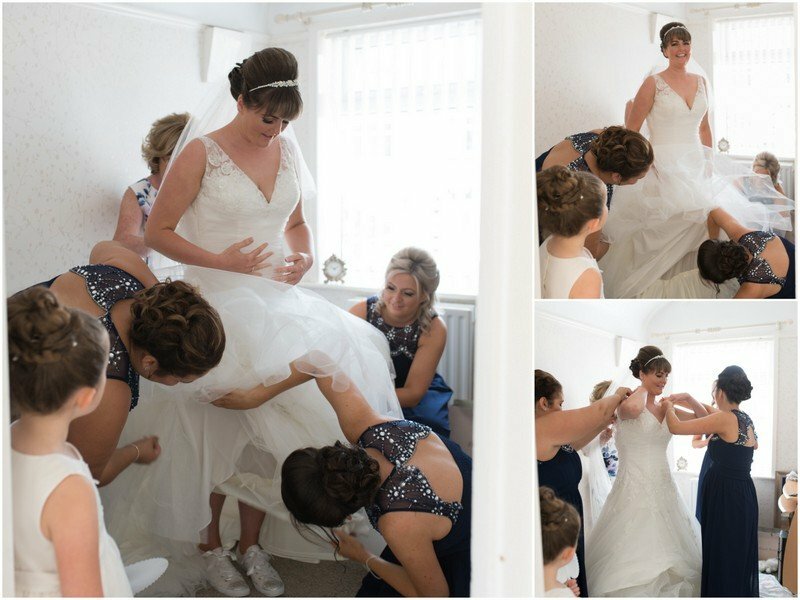 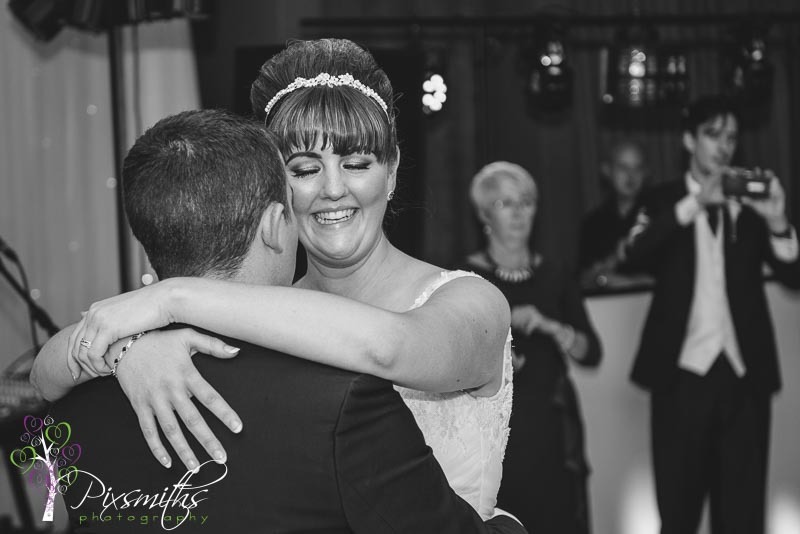 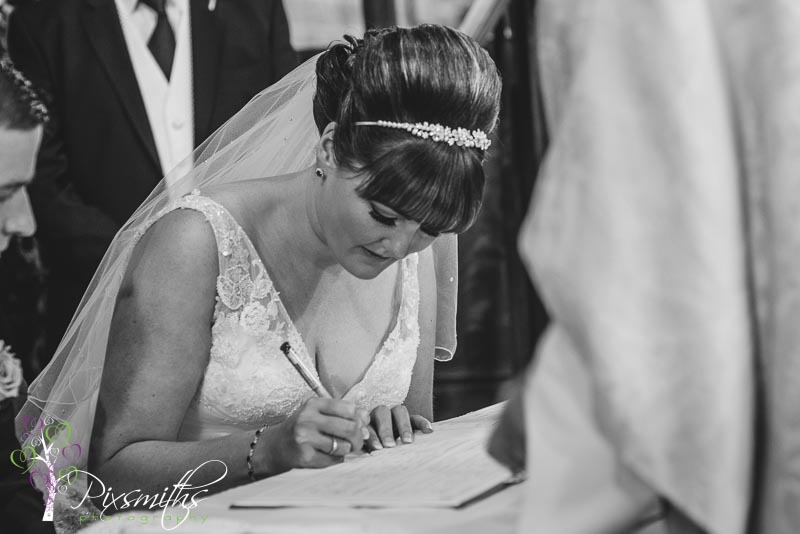 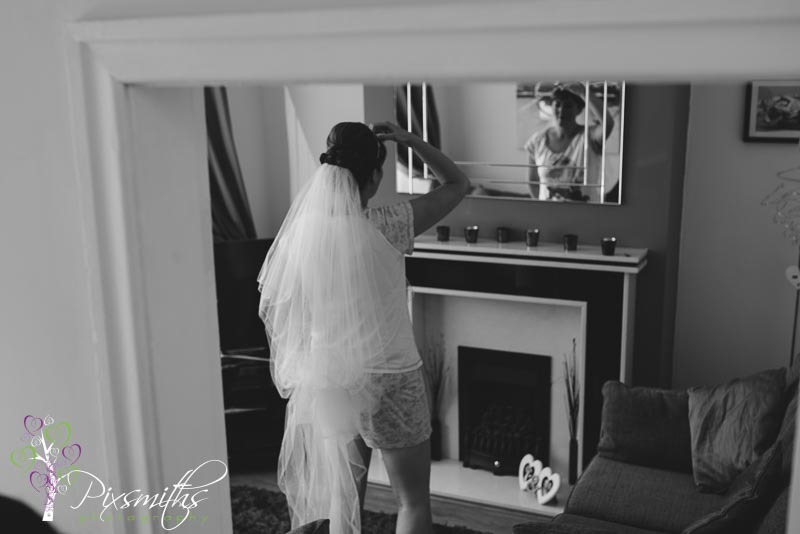 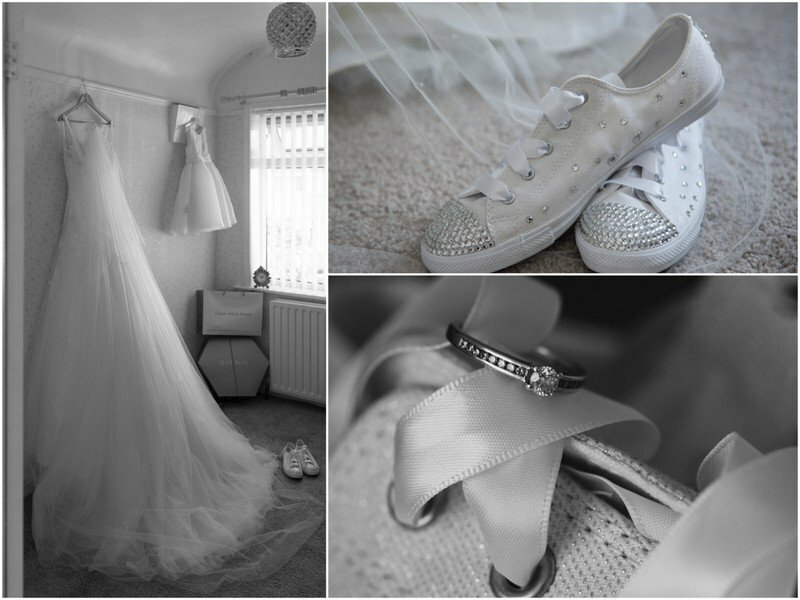 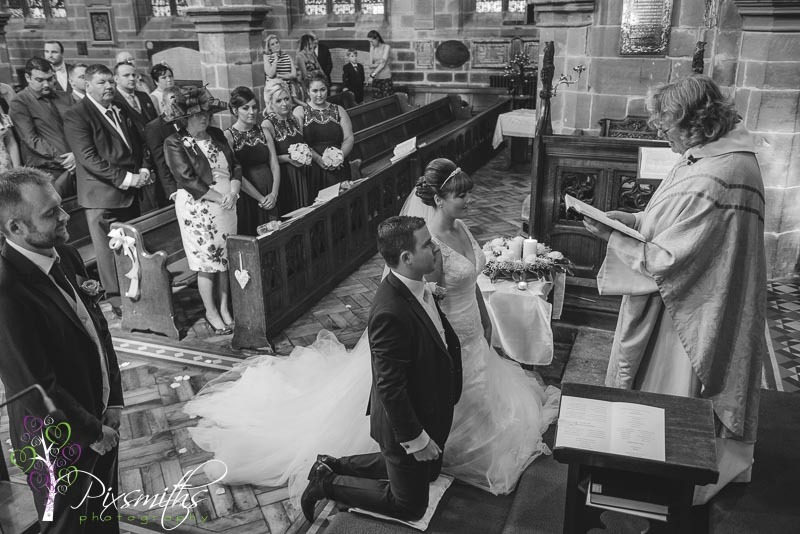 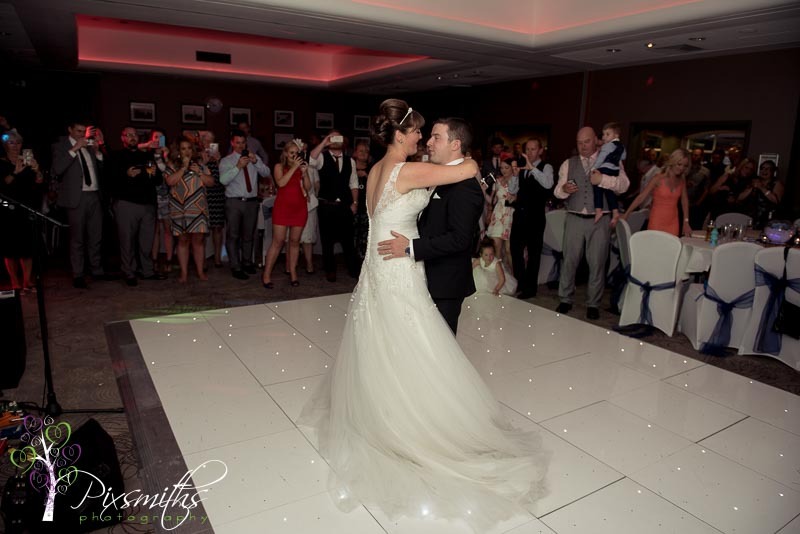 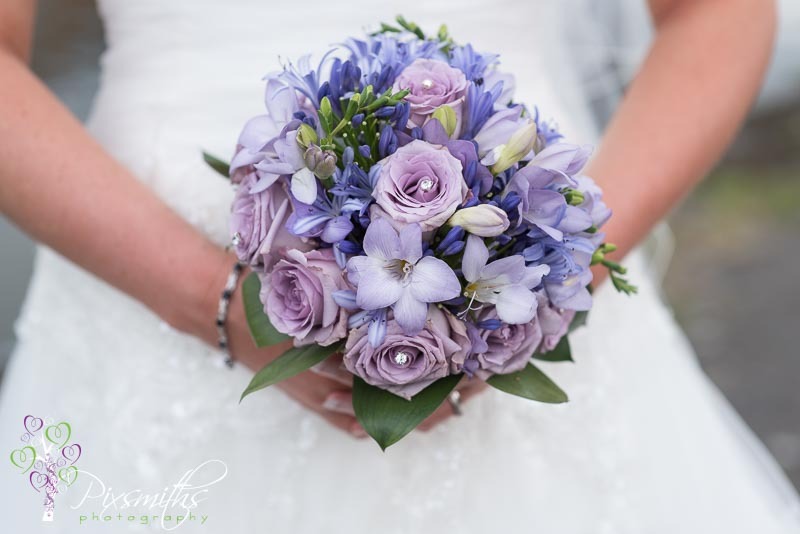 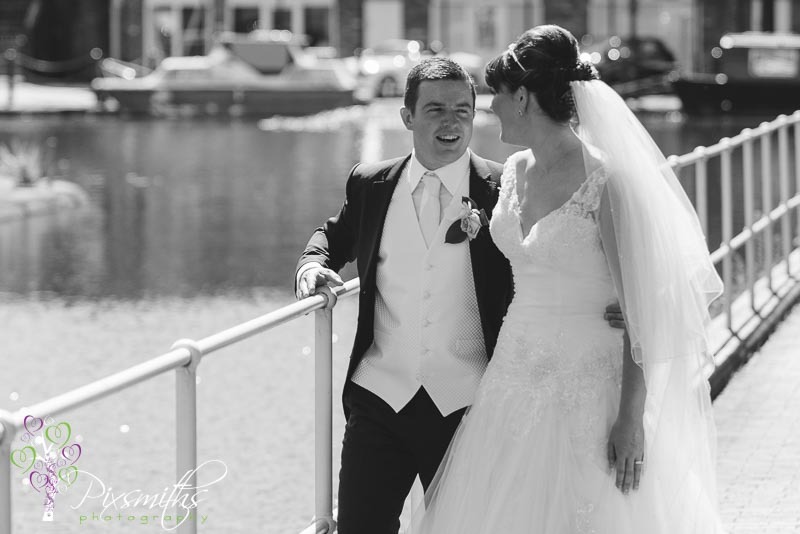 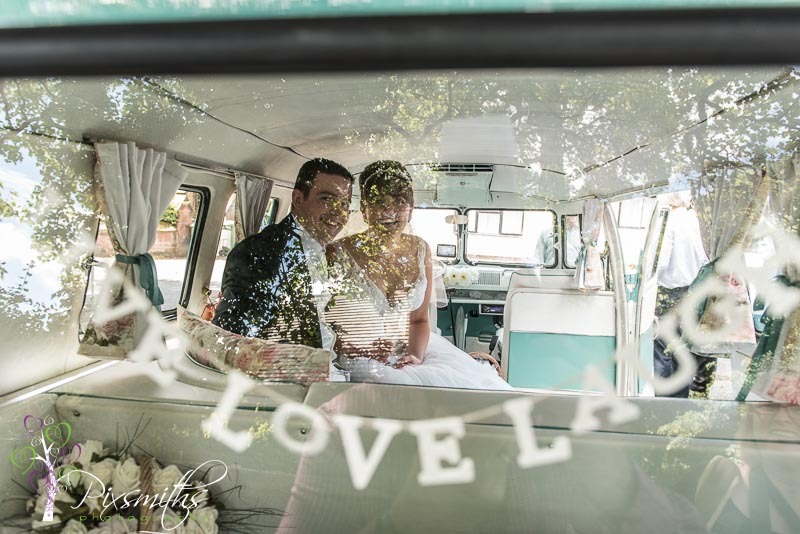 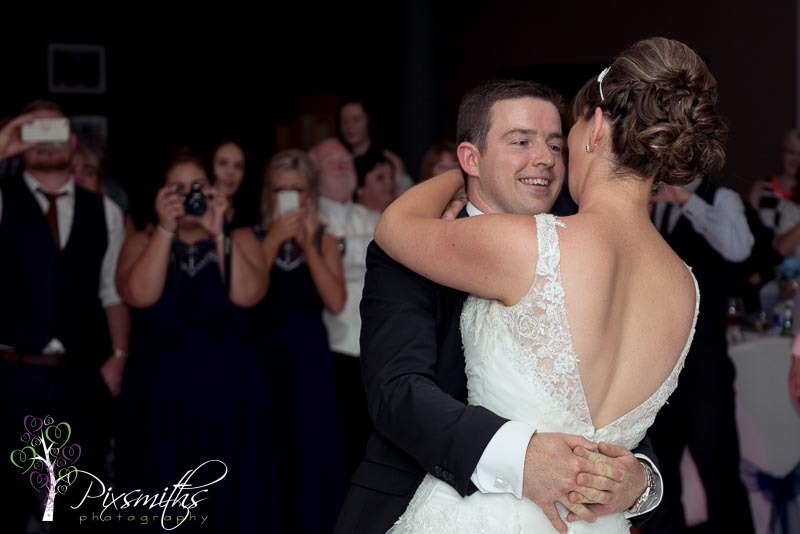 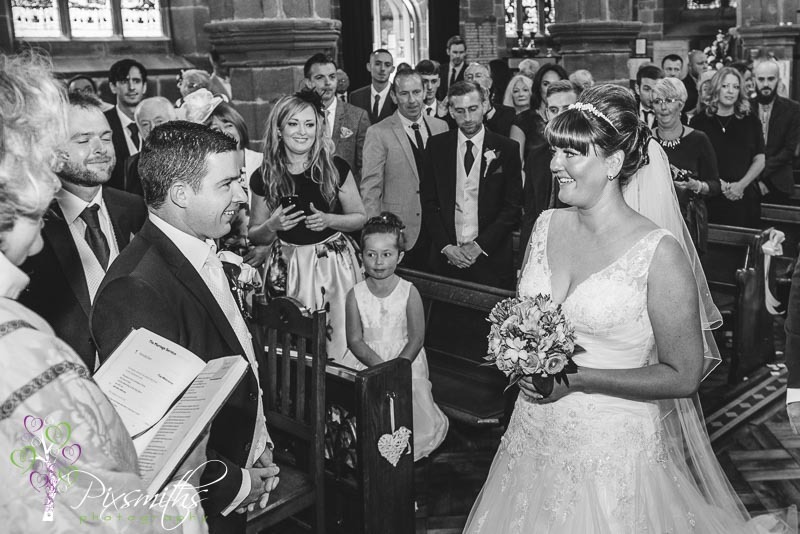 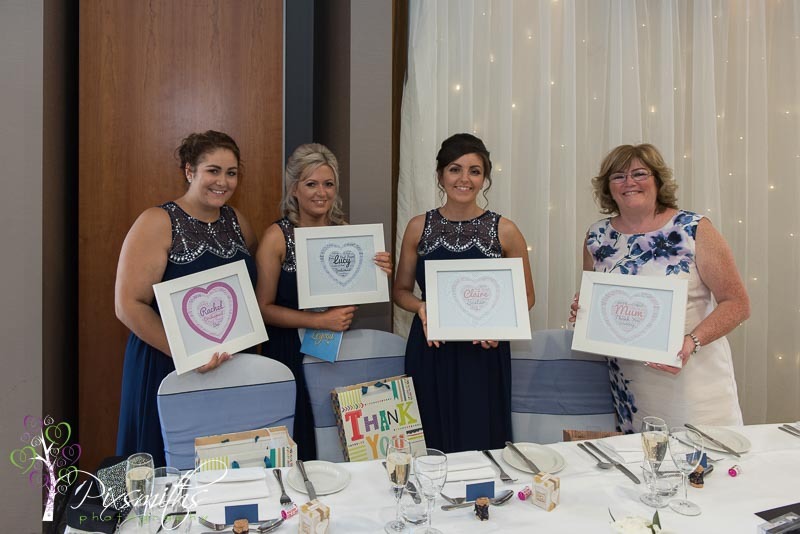 Laura, a stunning bride was led to her waiting groom by her two dads – such a lovely touch this. 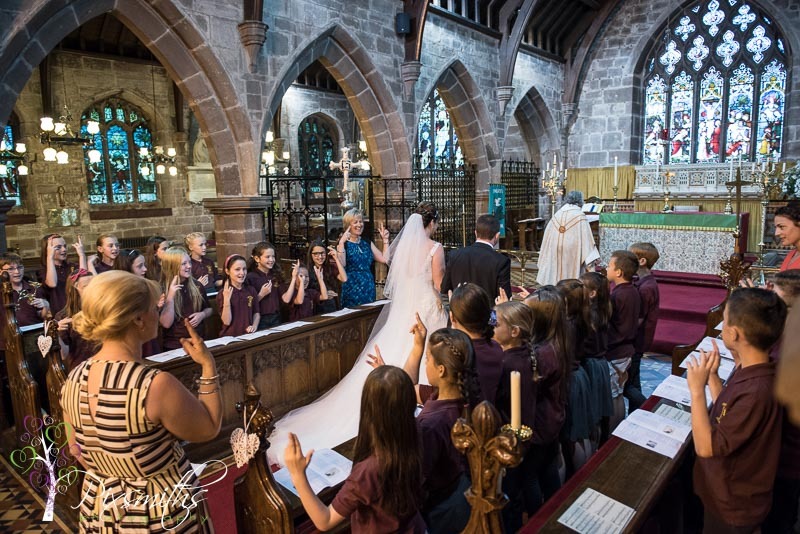 We couldn’t entice Gary Barlow to make an appearance but next best thing Laura’s school class choir came and sang one of his tunes for the couple in a most personal enjoyable service. 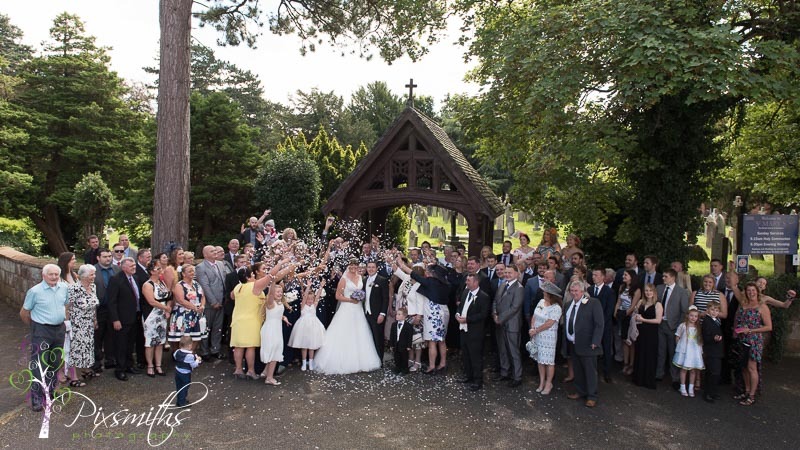 Group shot and confetti exit and it was onto the reception at the Holiday Inn – the fine weather had guests enjoying the outdoors…even a bit of fishing took place… The wedding breakfast in an air conditioned room was bliss though! 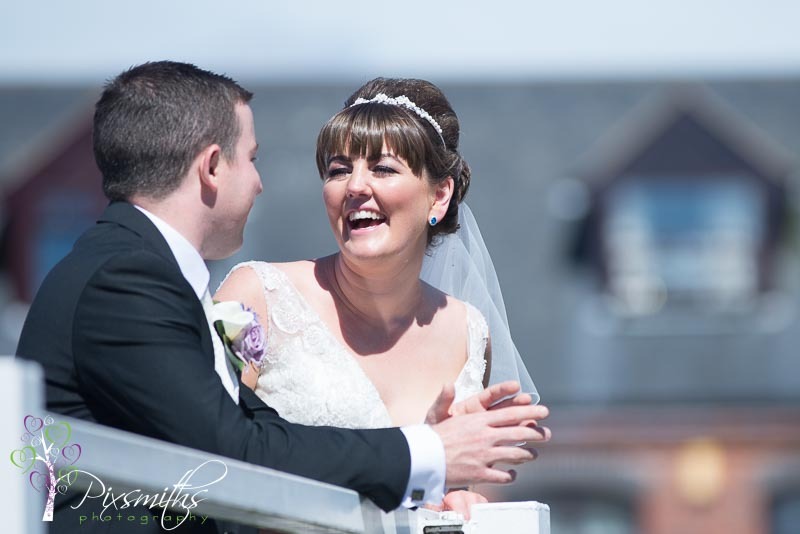 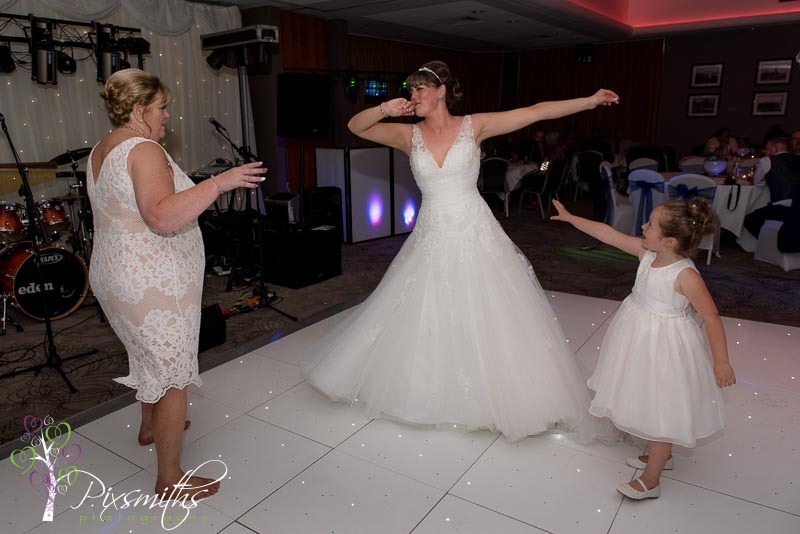 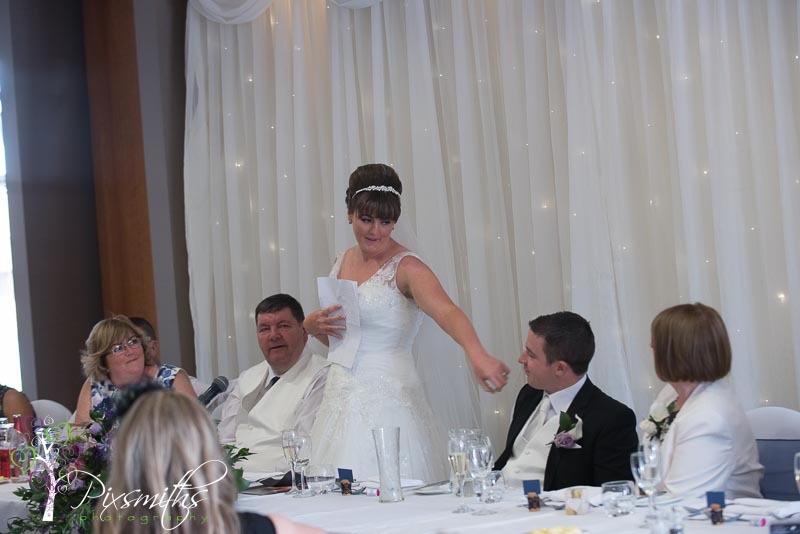 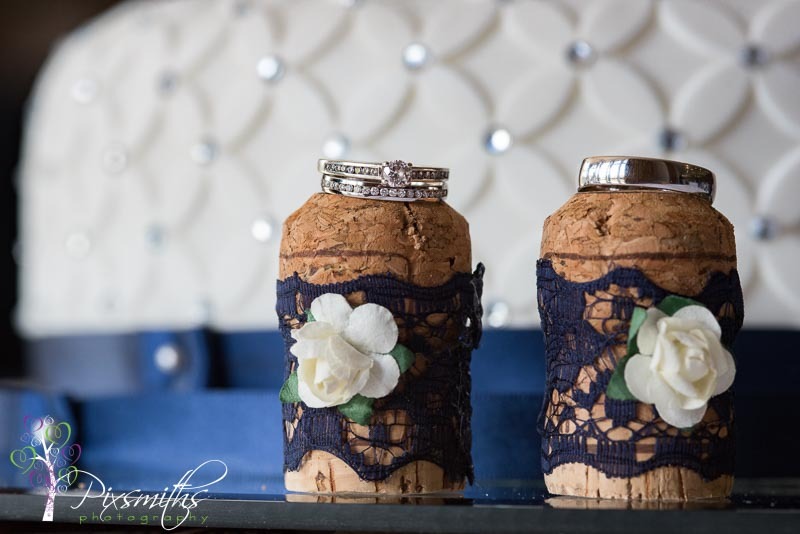 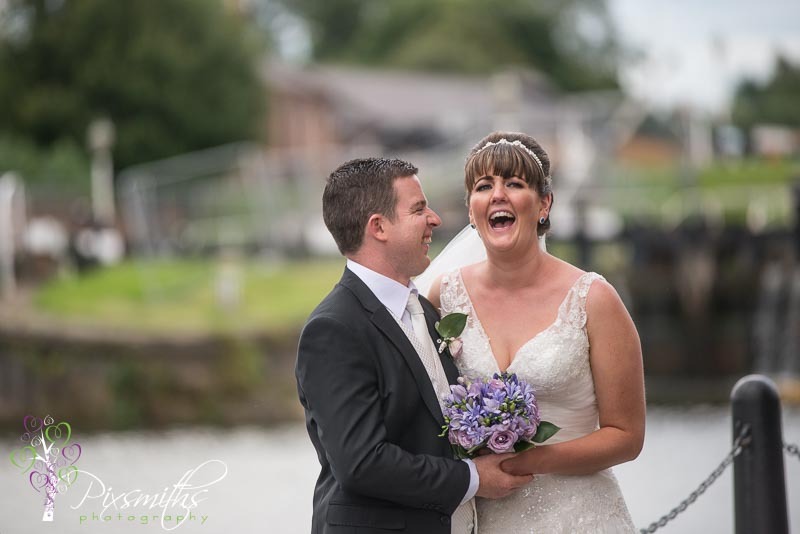 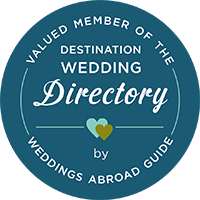 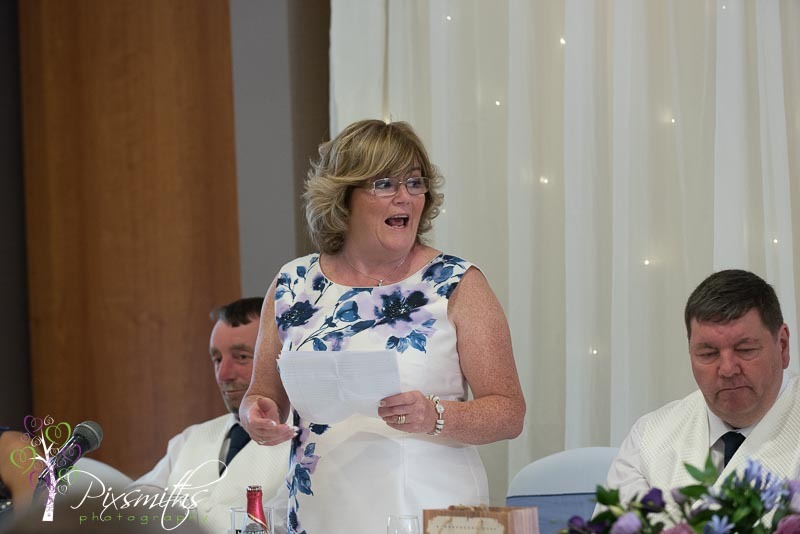 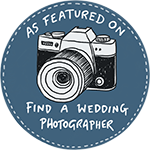 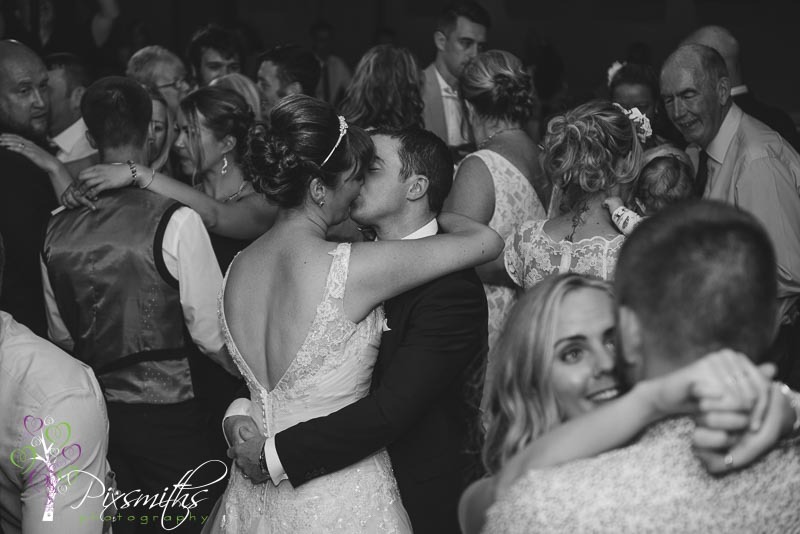 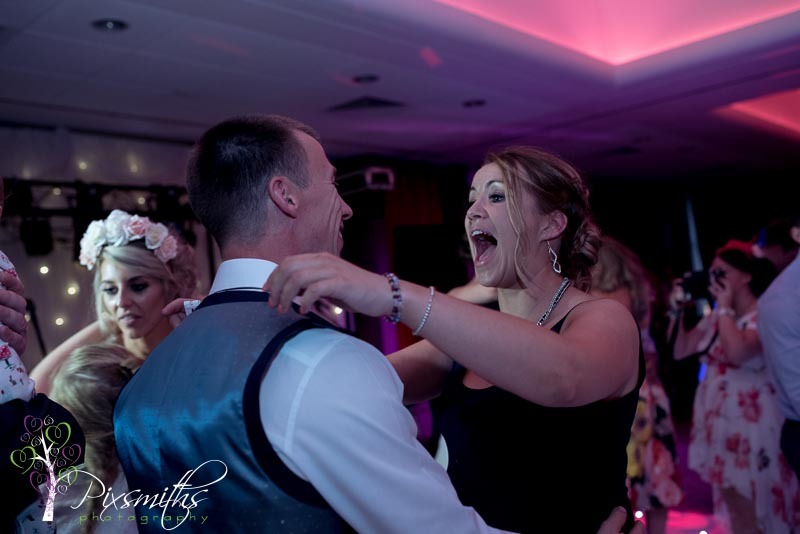 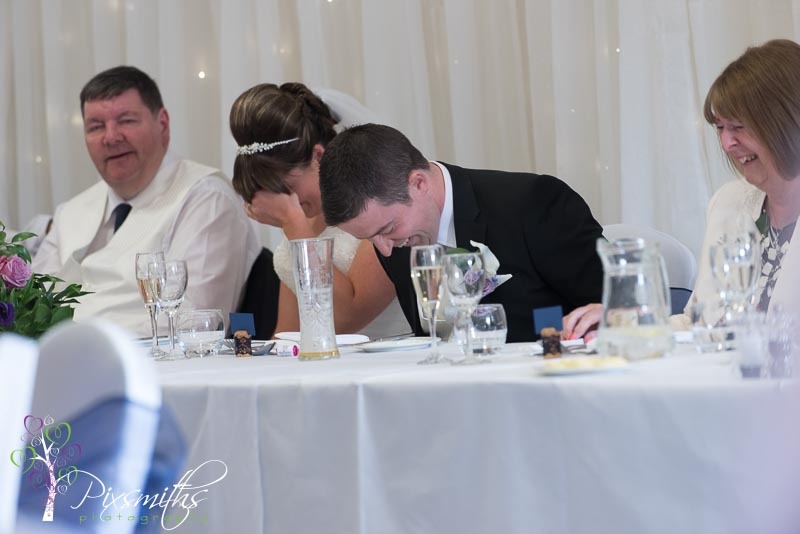 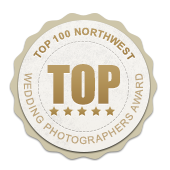 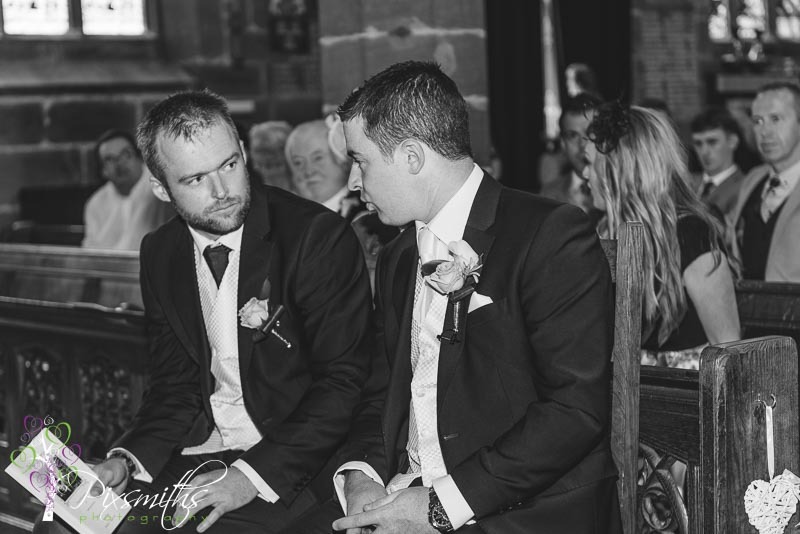 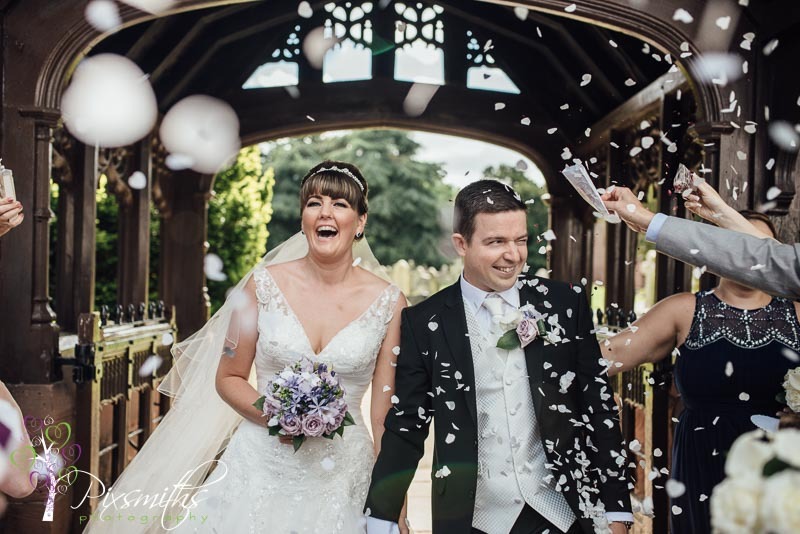 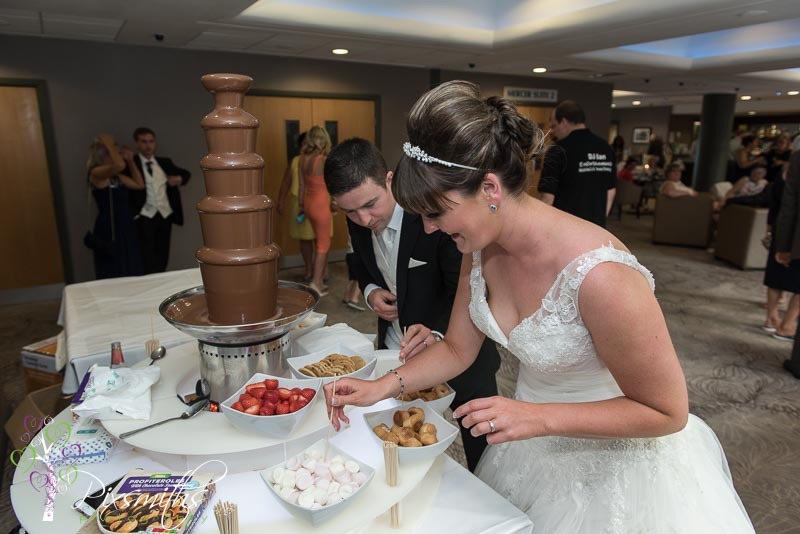 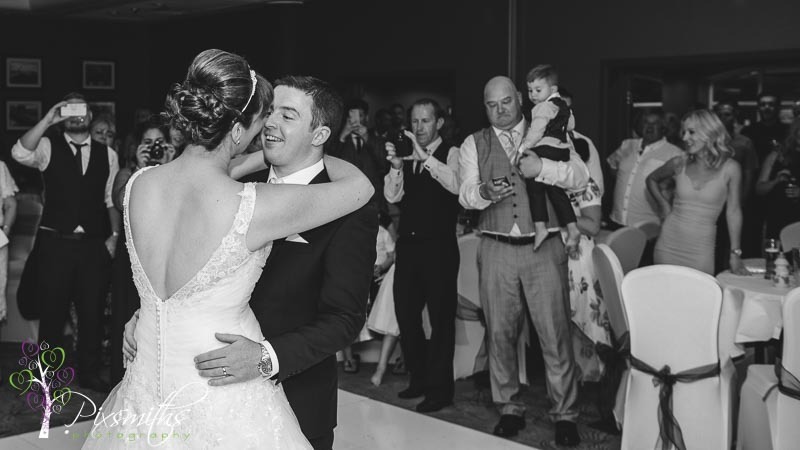 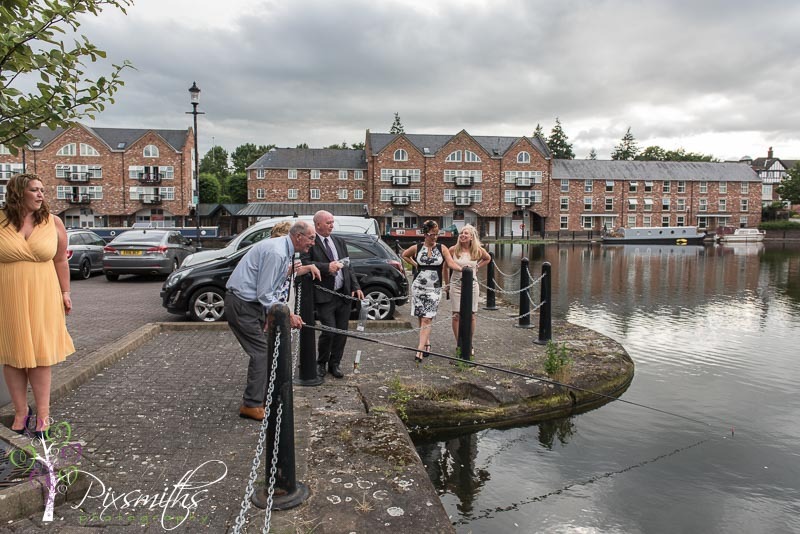 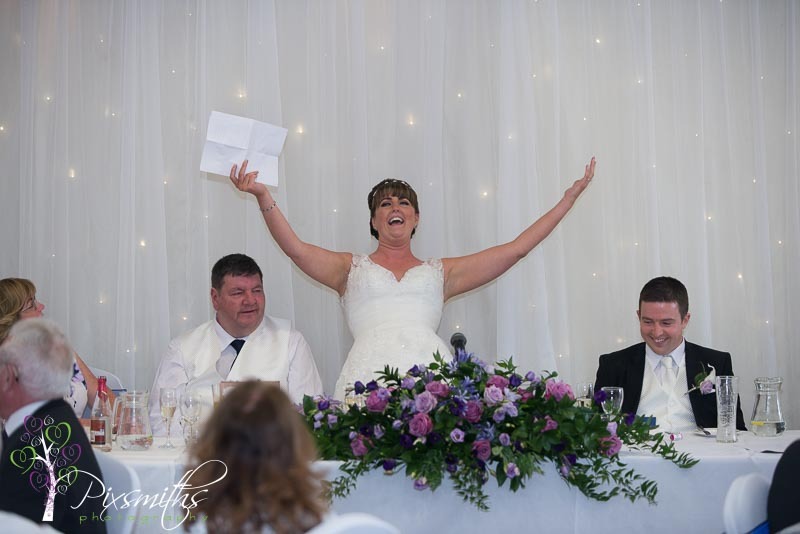 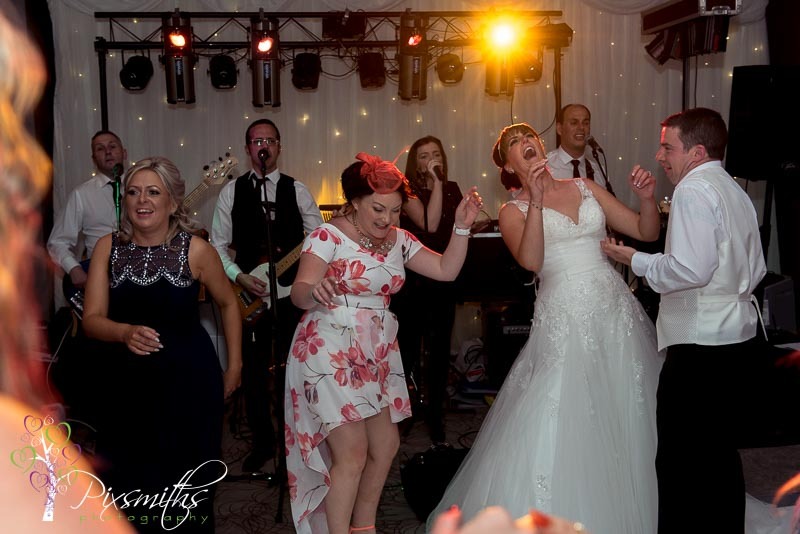 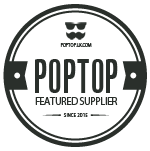 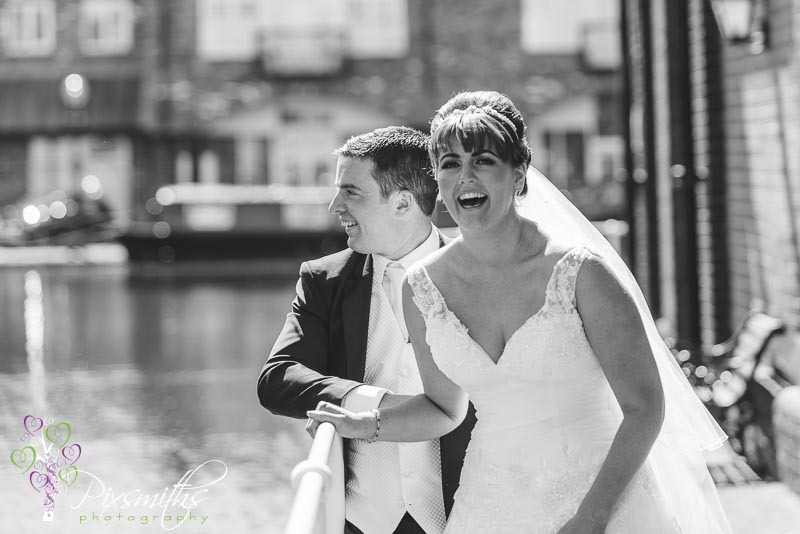 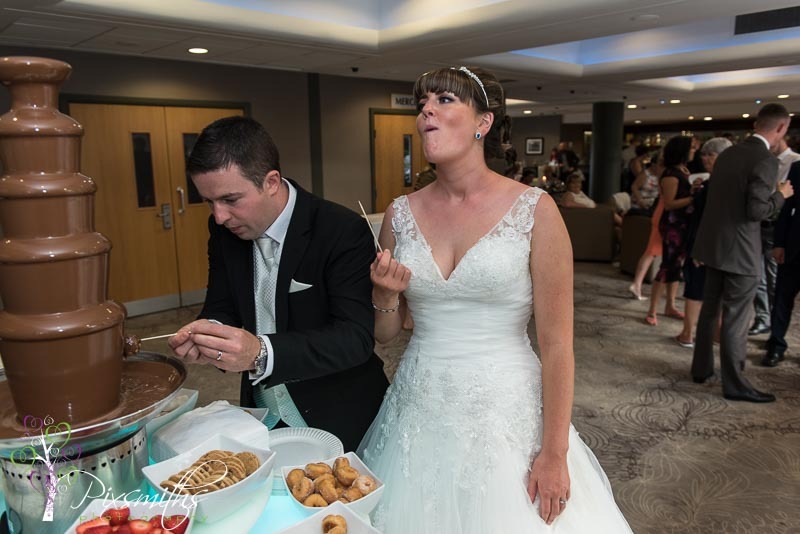 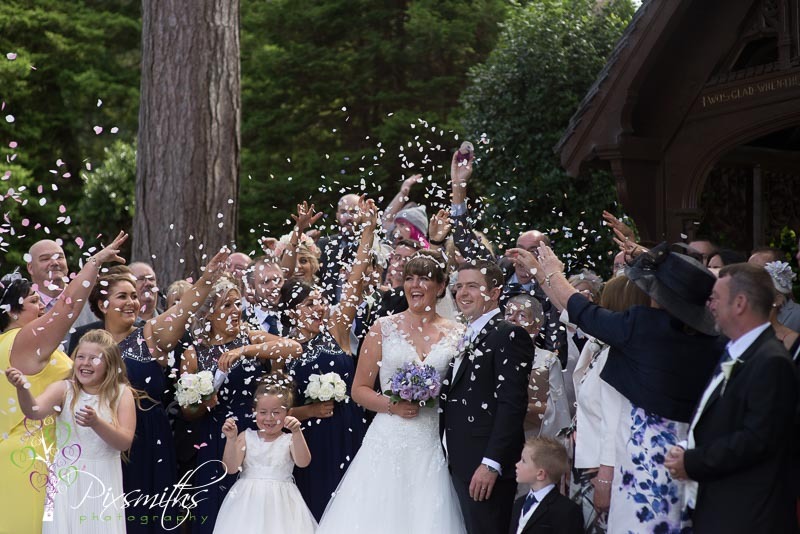 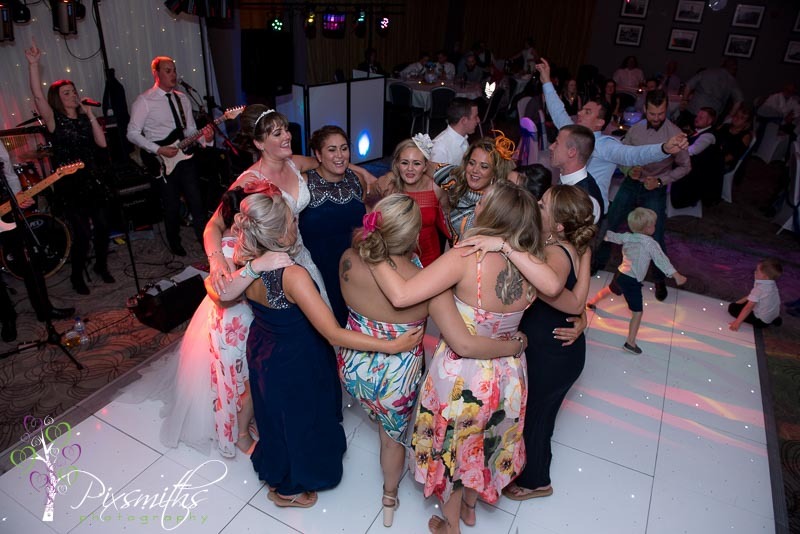 Hilarious and heartwarming speeches ..especially with Laura singing an a poem to Thom – so glad thay was captured on video by the ever capable Rob Whibley from Action Wedding videos – definitely a moment to watch over and over again.